Ethan Wate, who can't wait to get out of the small town of Gatlin, South Carolina that he feels trapped in, is a very relatable character. When Lena Duchannes, a girl who's been haunting his dreams, shows up as a transfer student at his high school, he's mesmerized by her. As their relationship progresses, Lena remains a mystery. She's counting down the days, and seems to be pretty depressed about it, but as to what it is she's expecting when the clock runs down, the reader doesn't find out until the very end. Ethan is very tentative and unsure of himself as he reaches out to Lena, which I thought was very believable and sweet. Garcia and Stohl capture perfectly the intensity of the characters' first romance. The cast of gossipy and petty small-town characters serve to further isolate the two from everyone else, making them that much closer. Lena is staying with her uncle Macon, a wealthy town eccentric who lives in a grand estate up the hill. I enjoyed the study in contrasts - when Ethan gets the rare chance to see the inside of Macon's decrepit mansion, he's shocked to find that on the inside, it's decorated in a clean, bright, IKEA catalog fashion. While he is quick to attribute many of the odd things he sees to rational explanations, ever so slowly, Ethan is finally able to puzzle out what is happening and it's on a far grander scale than he could have imagined. Shapeshifters, magic spells, ancient curses, a race of people known as "Casters" with supernatural powers used either for good or for evil, a secret underground supernatural library... for readers who are willing to hang in there for the long, slow set-up, the ending of this book is a proverbial grand fireworks finale, with a huge showdown between good and evil. Oooh, I loved this one! 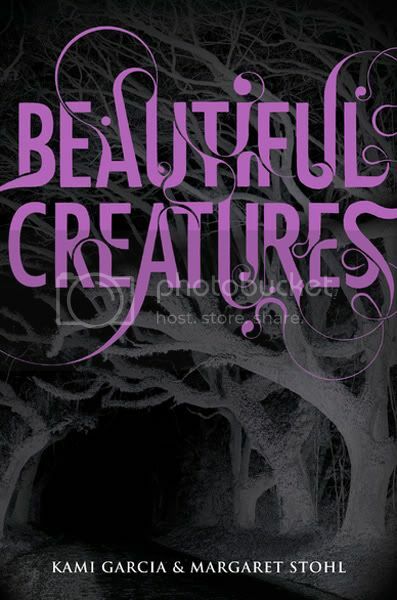 I still need to pick up and read Beautiful Darkness at some point. Ethan's POV definitely made for a refreshing read and the world Stohl and Garcia created was amazing. Can't wait to get back into it! I'm excited to start this one. I have Beautiful Darkness sitting on my nightstand... I've got to start reading it soon... but I do have a lot of other good things I'm reading in the meantime. Beautiful review Madigan, I really enjoyed this one as well, and was so excited to read a book with a male lead:) The writing was stunning as was the setting, and I thought the mystery element was really well executed. I have Beautiful Darkness but haven't gotten to it yet, can't wait to see what your thoughts are! Hi, My name is Avanti and I'm a book blogger. Just dropping by to let you know that I have started linking other reviews to mine and have used yours. The review is scheduled for tomorrow at noon. Here's the link to my blog if you would like to check it out.